For homeowners looking to navigate today’s real estate market, there’s a lot to consider. Mortgage rates are still historically low, but are definitely on their way up. And low inventory is creating a tight housing market, meaning buyers remain active and sellers can profit from market conditions. You’re a homeowner making your monthly mortgage payments for some time, and have built up some nice equity in your home. Refinancing might be your best bet. One of the most popular forms of refinancing is a ‘rate and term’, in which you work with a mortgage professional to alter the rate and term of your mortgage—making it a great way to help reduce your monthly mortgage payments. If you’re looking to give a bump to your child’s college savings fund, borrowing from your home equity could give the lift you need. A home equity line of credit (HELOC) or home equity loan can turn the equity you’ve built up in your home into cash you can use. And if you’re feeling squeezed by the amount of bills coming your way, then refinancing your home loan with a cash-out refi could be a great way to get the money you need to consolidate bills and cut down on their high interest charges. If you're a homeowner looking to move into a larger home, a tight real estate market could be the ideal time to sell. With low inventory throughout the market, there will often be many qualified buyers looking to compete for the best properties. While it might be tempting to try go it alone and save some fees, working with a qualified real estate agent can save you valuable time and help you secure a higher sale price. Real estate agents understand the local market and pricing strategy, can help create a winning listing and have extensive market exposure. Make sure you don’t rush through your research for your next home. One important consideration is taxes, since mortgage interest for a second home may or may not be deductible. Make sure to consult a tax professional to understand what to expect if you purchase a second home. It’s also important to work with a real estate agent when approaching the purchase of a second home, since they will have intimate knowledge of the market in which you’re hoping to buy. A real estate agent will often have access to home not yet listed on the market, which can be crucial to securing a sale in tight real estate market. Digital Mortgage: Upon completion of our Digital Mortgage and approval from underwriting, you’ll receive a pre-approval letter from Guaranteed Rate Affinity. This process can often be completed in 20 minutes. Having this letter on hand will make your offer stand out among the crowd of bidders, even cash buyers, as Guaranteed Rate is one of the most trusted lenders in the industry. 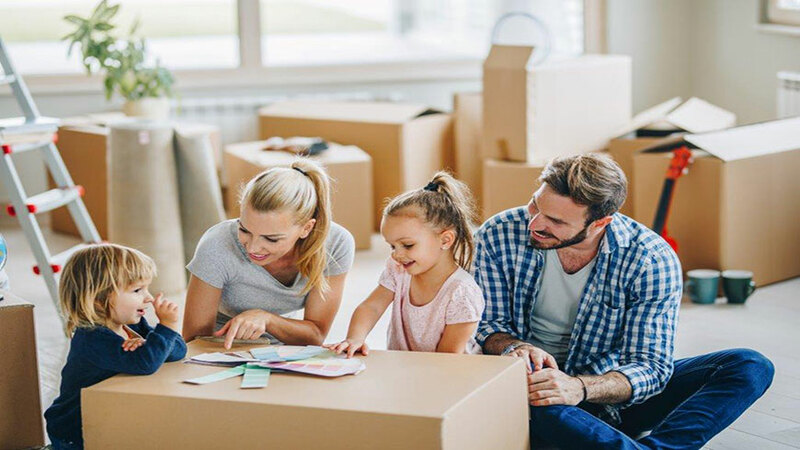 Red Arrow Approval Express: For those looking to make an even stronger offer, Red Arrow Approval Express provides full underwritten approval while you shop for a home. After receiving your initial pre-approval letter, borrowers can upload a more extensive collection of documents and receive full underwriting approval in as little as four hours. After completing the process, you’ll be equipped with a real loan approval* and just about ready to close—subject to finding a property and signing a contract. *“Real Approval” means an automated underwriting system approval based upon credit information supplied by applicant and subject to Guaranteed Rate Affinity’s review of loan documents. Applicant subject to credit and underwriting approval. Not all applicants will be approved for financing. Receipt of application does not represent an approval for financing or interest rate guarantee. Restrictions may apply, contact Guaranteed Rate Affinity for current rates. Appraisal required for eligibility and subject to conditions. Applicant subject to credit and underwriting approval. Not all applicants will be approved for financing. Receipt of application does not represent an approval for financing or interest rate guarantee. Restrictions may apply, contact Guaranteed Rate Affinity for current rates and for more information.